Having your vehicle stolen is much more than just an insurance hassle, it’s expensive! Vehicle theft costs Canadians millions of dollars each year in replacements, repairs, police and more. Have you ever wondered if certain vehicles are stolen more often? Even more, have you ever wondered if your car is a potential target? Thanks to IBC’s yearly study, we have a list of the most stolen vehicles in Alberta in 2017. 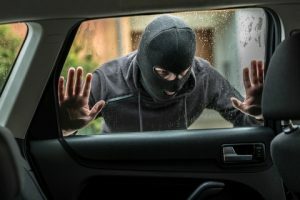 How often your vehicle’s make and model is stolen is one of many factors insurers use to set your insurance premiums – so read on to see if your vehicle made the list! To sell abroad. Stolen vehicles are often sold at a hugely inflated price when shipped abroad. To be dismantled and sold for parts. Thieves may be looking to make a few quick extra dollars, and scrapping a car and selling the parts does just that. To go joyriding. Thieves will often steal a vehicle for no other reason than driving around for a night. These vehicles are often discovered a few days after the theft badly vandalized. To use while committing another crime. Similar to joyriding, these vehicles are usually recovered, but are often badly damaged. Most car thefts are crimes of opportunity. Don’t make your vehicle an easy target for criminals. Follow these couple tips to deter thieves. Don’t leave your keys in the ignition – even if you’re just running back into the house. Try to park in well-lit areas. Avoid alleys or places with limited visibility. Make sure to always keep windows and doors closed when you are not by your vehicle. Put any valuables in the trunk to minimize temptation. Whether your vehicle has made this list or not, ARC Insurance offers competitive auto insurance rates. If you’re in the market for insurance, give us a call to get a quote today!